Anything containing raw eggs could also potentially contain salmonella. But how dangerous is it? 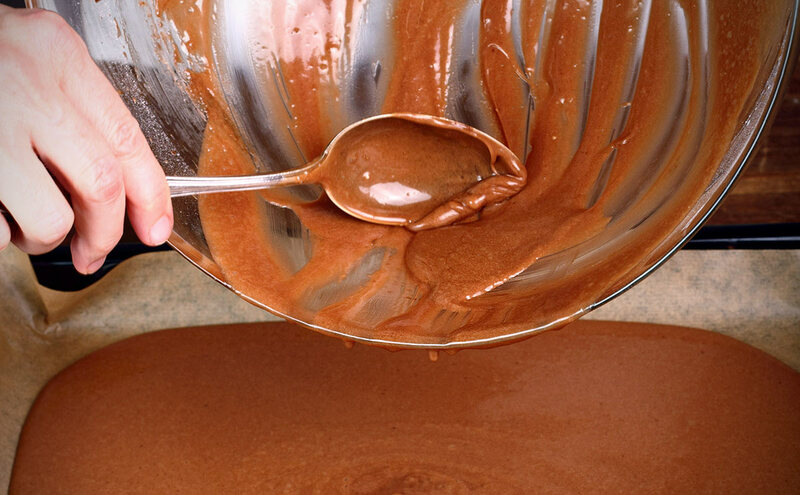 For years, parents have told their kids not to lick the spoon – “you’ll get sick!” they say. Translation: Batter that contains raw eggs runs the small (very small) risk of carrying salmonella, a bacteria that can cause some nasty side effects like diarrhea and vomiting that may not be worth that one dollop of brownie batter. Despite that risk, so many of us still lick the spoon, and so many of us willingly eat actual dishes – not just batter – that contain raw eggs. Your favorite Caesar salad? If made traditionally, its dressing consisted of raw eggs. The homemade aioli you eat on toasted bread? It’s made by whipping up raw egg yolks. We eat these things, and usually, we find ourselves with nothing more than a full stomach afterwards. Salmonellosis, the infection resulting from the salmonella bacteria, has been around for about a century now and primarily occurs when the salmonella bacteria infects a chicken that goes on to lay eggs that we’ll later eat. The problem is, it’s not easy to tell if a hen is infected – sadly, they don’t come marked with a scarlet letter – and it requires testing that, for many years, farms only performed so often. This isn’t an issue to those who fully cook their eggs because salmonella is killed once it reaches a certain temperature, but to the rest of us living on the edge, snacking on chocolate mousse and cookie dough, it can be dangerous. The majority of salmonella infections, which are estimated to affect 1.2 million Americans each year, are uncomfortable – think the stomach flu – but they usually don’t require hospitalization. It can get serious though: About 400 deaths result from the infection each year, mostly due to the bacteria spreading from the intestines into the blood stream in rare cases and then going without antibiotics. Lucky for us though, that number’s going down. The CDC released a report in April that contained the news that although the overall incidences of food-borne illnesses have not dropped significantly, the number of reported cases of salmonella poisoning has decreased 9% in 2013 compared with the number of cases from 2010 to 2012. This drop may be in part to the Obama administration’s Food Safety and Modernization Act that puts a focus on egg safety and on prevention of harmful bacterias – like salmonella – rather than simply responding to these cases. This means more inspections of hen-houses, more testing for salmonella in hens, and ultimately, more confidence that yes, you can drink that eggnog fear-free. Taking that nine-percent decrease to a 99 percent decrease is going to take time though, so it will be years before chugging a few raw eggs Hulk Hogan-style comes with zero risks. So our suggestion? Eat a couple swipes of cake batter before you add the raw eggs – all of the tastiness; none of the potentially dangerous bacteria. Problem solved.